Other Ingredients Cellulose, magnesium stearate (vegetable source), silicon dioxide, sunflower lecithin and medium chain triglycerides. Capsule consists of gelatin. Contains: Milk. 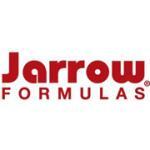 No wheat, no gluten, no soybeans, no egg, no fish/shellfish, no peanuts/tree nuts. 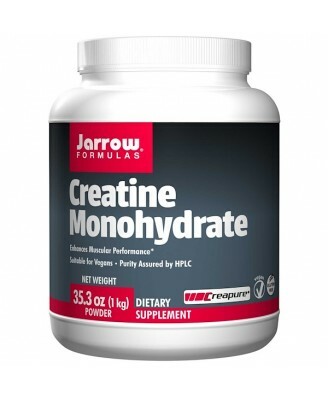 Creatine is synthesized in the liver and stored in the major muscles, including cardiac and skeletal tissues. Once inside the muscle cells, creatine is phosphoylated to form creatine phosphate (CP), which, as a high energy substrate for universal energy molecule adenosine triphosphate (ATP), assists in the contraction of the myofibrils (muscle fibers). 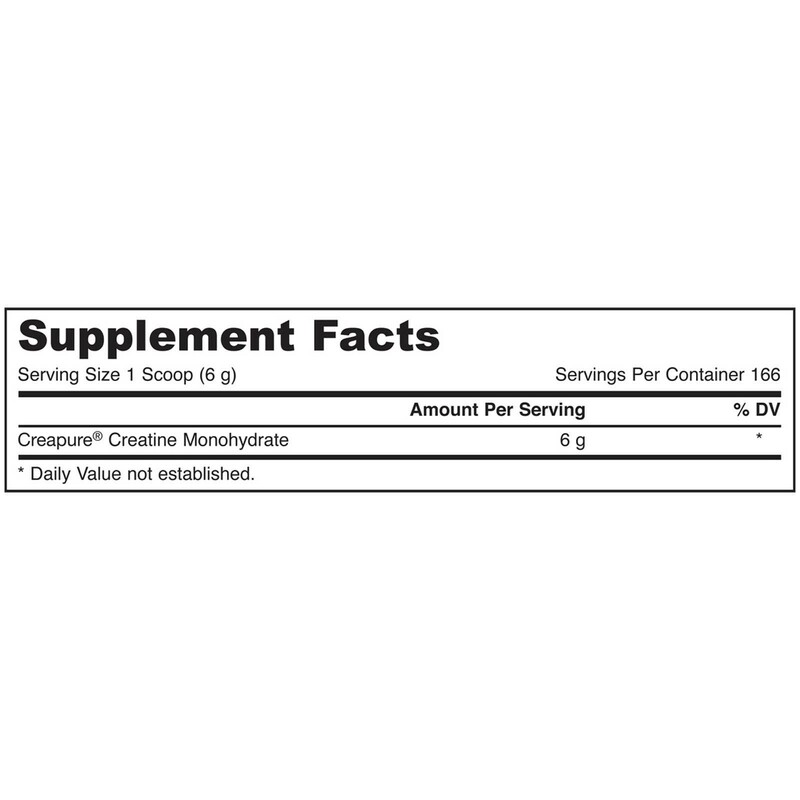 Creatine Phosphate is utilized during exercise. 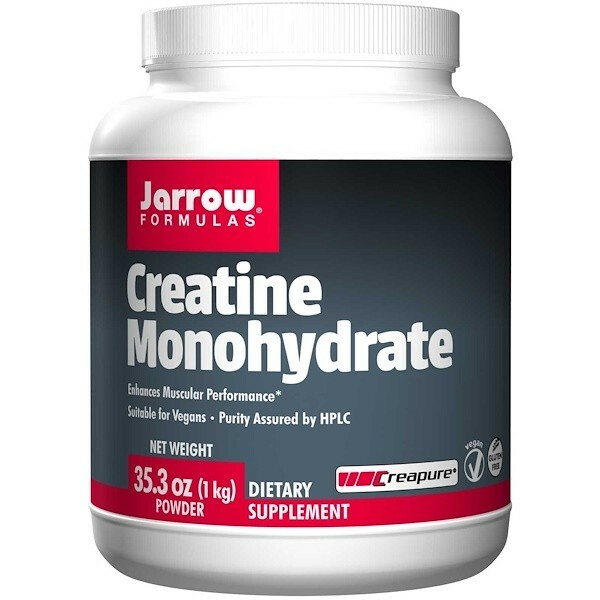 Stir one scoop (6 grams) of Creatine Monohydrate into 20 ounces of water or fruit juice (Glucose, as found in certain fruit juices, enhances uptake and utilization of creatine monohydrate). Packaged by weight, not by volume. If you have a medical condition (especially kidney or liver disorders), are pregnant, lactating, trying to conceive, under the age of 18, or taking medications, consult your health care practitioner before using this product. Keep out of the reach of children.